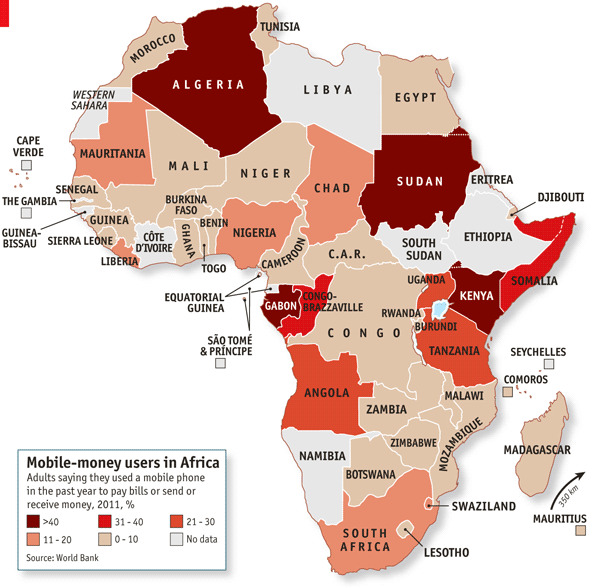 Mobile money is rapidly growing across Africa in small pockets. Kenya's M-PESA is the frequent example of the potential of mobile money, but looking the map shows that it is not the only country with a high level of use. This is not really related to the previous in any way, but The Economist turned out the two charts so quickly that I had to share both. 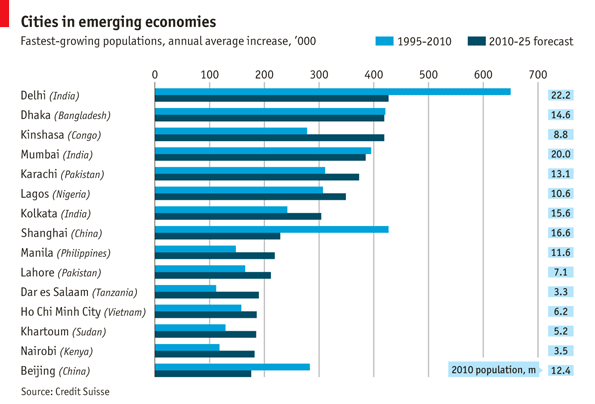 A lot has been made of growing populations in emerging economies. That aside, it is pretty stunning to see the average annual population increases for the quickest growing cities and the projections in 13 years. Increasing rates will present new challenges for the cities. The projected rate decrease in Delhi and Shanghai in addition to the rise by over 100,000 in Kinshasa stand out.